Free Snapple Brew Over Ice K-Cup & More!! 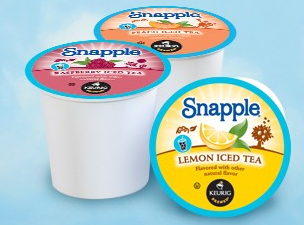 Go HERE to request a FREE Snapple Brew Over Ice K-Cup pack! Please allow 8- 10 weeks to receive your sample. On the same page you can also request a different Maybelline Fit Me sample as well as an Airborne sample! Load up my friends!